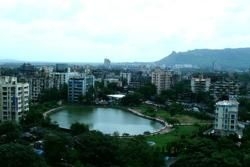 An ancient city, Thane is the satellite city of Mumbai. Once a very big district, Thane was divided and part of the district, that is from Mulund to Sion was given to Mumbai for its future development. Located around 30Kms north-east of Mumbai, Thane has a population of over 1.2 million. It is a beautiful old city and its uniqueness is enhanced by the 30 lakes that are there in the district, cementing its place as a "Lake City". Geographically, Thane is bordered by the Yeoor Hills on one side and is dotted with 30 beautiful lakes, which result in the weather being cooler in Thane than that at Mumbai. Rich in history and blessed with nature, the city has several old forts, churches, scenic views, lakes with boat rides, resorts, gardens and water parks which make it a great getaway from the busy schedule of daily life, especially from a city like Mumbai. 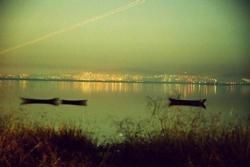 Masunda Lake is the biggest lake in Thane City and is also the most visited lake by all age groups. Being an ancient city rich with history, Thane has a unique combination of culture, art, sports and other activities. Thane residents celebrate a wide range of major Hindu festivals such as Ganesh Chaturthi, Krishna Janmasthami, Navratri and Durga Puja with great zest and passion. Modern day Thane includes areas like Majiwade Village, Vasai, Virar, Talaopali, Kalamshetwadi, Balkum, Dhokali, Kolshet and Wadavli to name a few.